12 Monkeys is a movie with considerable cinematic vision. 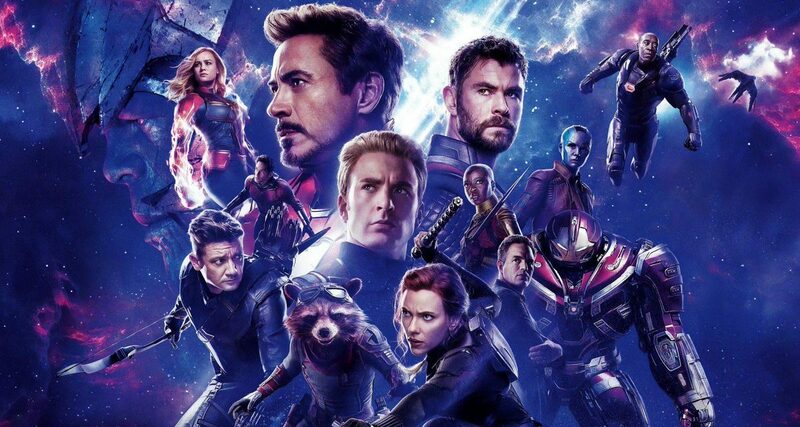 A big chunk of movies, that get produced every year belongs to the sci-fi (Science fiction) genre. Over the years a good number of sci-fi movies have explored the post-apocalyptic future. My personal favourites have been Metropolis (1927), Blade Runner (1982), The Matrix (1999), Dark City (1998) and Children of Men (2006). 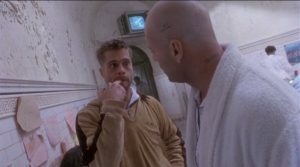 One, relatively underrated, gem among the lot is 12 Monkeys directed by Terry Gilliam. It stars Bruce Willis, Brad Pitt and Madeleine Stowe in lead roles. Inspired by a short a film La Jetée (1962) by Chris Marker, the movie released to critical acclaim. The movie follows a little twisted plot with an abrupt ending which we will analyze and explain the plot and themes of the film here. The present year according to the movie is 2035. The humans have been forced to live underground because a virus, that got leaked back in 1996 and wiped out a large mass of human population, still exists on the surface. The scientists are trying to find the virus in its pure form, before it mutated, to develop a cure for it. For this they need someone to travel back to 1996 and find out the origin of the virus. They believe that the Army of the 12 Monkeys was behind the leak of the virus. The basis of this belief is a broken telephone voice message that vaguely mentions the 12 Monkeys. The scientists choose Cole (Bruce Willis) to travel back in time and trace the virus. 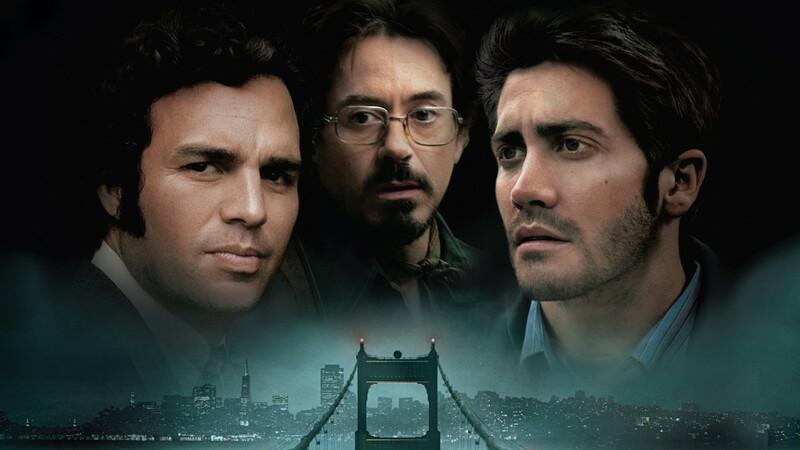 Cole is believed to have a strong mind and hence, perhaps, a better memory. In return Cole is offered pardon for a crime that he has committed. The scientists do not expect Cole to go back in time and change the course of events. This is because the scientists believe that the past is unalterable and hence it is not possible to stop the outbreak of the virus. They just want to find out a cure for the virus. The scientists’ belief is based on the Novikov self-consistency principle according to which it is impossible to alter the past, as it would create a paradox which would nullify the change, although time travel may be physically and technically possible. Cole is sent to the year 1996 but due to a machine glitch he ends up in 1990. He is sent to a mental asylum since his talks about the upcoming viral outbreak are considered insane by the psychiatrists. He tries to call a telephone number to contact the future people but it turns out wrong since it is 6 years prior to his supposed visit. 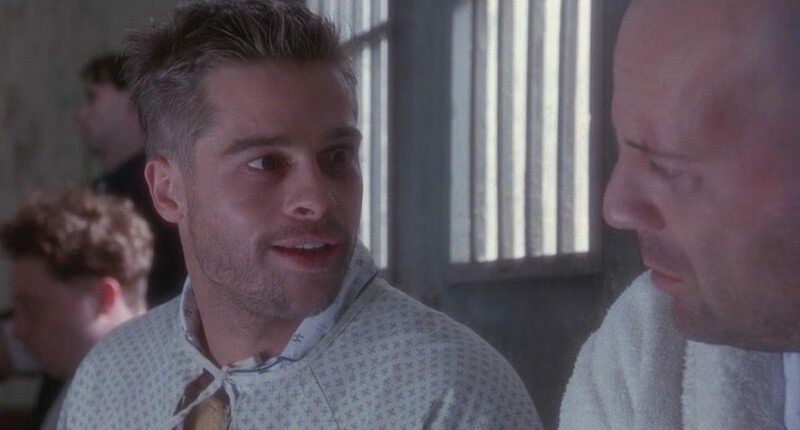 In the asylum, Cole meets Jeffrey Goines (Brad Pitt) who is also a mental patient and talks about crazy things. Cole tries to escape but gets caught and thrown into solitary confinement. Cole is pulled back into 2035 leaving the scientists of 1990 confused about Cole’s disappearance. The scientists ask Cole the meaning of a message they intercepted from 1996. The message is a woman saying “The Freedom for Animals Association on Second Avenue is the secret headquarters of the Army of the Twelve Monkeys. They are the ones who are going to do it. I can’t do any more. I have to go now. Have a merry Christmas”. Cole has no idea what this message is and explains to the scientists that he was sent to the wrong time, to 1990 instead of 1996. They show Cole some photographs of possible suspects from their research. One of the photos is of Jeffrey which Cole identifies. They send Cole back again, this time to 1996. Again a machine glitch sends Cole back to somewhere around the time when the First World War took place. Cole gets hit by a bullet. At the same time a fellow traveller Jose also gets glitched into the wrong time. However, the glitch gets corrected and he finds himself in 1996. Cole makes his way to find Dr. Kathryn Railly (Madeleine Stowe) who was his Psychiatrist back in 1990. She is lecturing at a book release about Cassandra Complex (occurs when valid warnings or concerns are dismissed or disbelieved) and some cases where mental patients apparently try to reveal about an imminent apocalypse in 1996. After her lecture she is signing the book when she is approached by Dr. Peters who thinks that the alarmists are probably right since the earth could not sustain the excesses that the human civilization had been inflicting upon her. It is later revealed that Dr. Peters is an assistant to Dr. Goines, a world-famous virologist and the father of Jeffrey Goines. Cole kidnaps Dr. Railly and makes her drive him to Philadelphia where, apparently according to Cole, the viral outbreak first began. It is revealed that Jeffrey Goines is the founder and head of the Army of the 12 Monkeys. Cole approaches Jeffrey to know about the source of the virus but Jeffrey denies any knowledge and blames it on Cole of having conceived the apocalyptic idea of a viral outbreak. Cole releases Railly and disappears. Previously, on their way to Philadelphia, they had received news about a boy being trapped in a mine shaft. Cole seemed dismissive of it and told Railly that he was just playing a trick. Later as prophesied by Cole the news turns out to be true. Also the investigator into her kidnapping tells Railly that the bullet she removed from Cole was actually fired during World War I. Railly realizes that Cole is actually from future. She tries to find Cole and he reappears. By now he has started thinking that he is insane and not from the future. Railly reassures him and tries to contact future people by leaving a message on their number. The message gets through. They decide to leave the town. Meanwhile it is revealed that Jeffrey and his Army have kidnapped his father, Dr. Goines, and have captured him in a zoo. They release all the animals held in the zoo. It is then revealed that the 12 Monkeys’ actual agenda was to free the animals and not release the virus. Railly and Cole reach the airport and Cole starts remembering his recurring dream where he sees a young boy watching a guy running across an airport and getting shot. Railly goes to get the tickets. She stands in line behind a traveller who is going to San Francisco, New Orleans, Rio de Janeiro, Rome, Kinshasa, Karachi, Bangkok and Peking. That is the same list in order of the spread location of the virus. She identifies Dr.Peters. It is Dr. Peters who is responsible for the outbreak of the virus. He is crazy about apocalypse happening due to the excesses of human race on the earth. At this point Jose appears and convinces Cole that his message has been relayed to the future. He asks him to keep a gun to which Cole agrees reluctantly. It is clear that the future knows that 12 Monkeys didn’t release the virus and also the fact that a guy was shot at the airport. The guy is later revealed to be Cole and hence they sent Cole back to 1996. Railly comes and tells Cole about Dr. Peters. Cole tries to stop him. He runs, with the gun in his hand, to stop Dr. Peters and gets shot by the Police who are looking for him and apprehend his escape. A young Cole watches the Cole from future die with Railly beside him. It is found that the boy in Cole’s dreams was his younger self. And he watches his future self die in front of him. An example of Predestination Paradox. Finally Dr. Peters boards the flight and finds that his co-passenger is a Dr. Jones who says “It’s obscene, all the violence, all the lunacy. Shootings even at airports now. You might say that we’re the next… endangered species”. After this she introduces herself by saying “I’m in insurance”. It is evident that the future, having possessed the knowledge that Dr. Peters was behind the viral outbreak, decides to pursue him to get a specimen of the pure virus to invent a cure for the same by sending Dr. Jones behind him.